Good news! 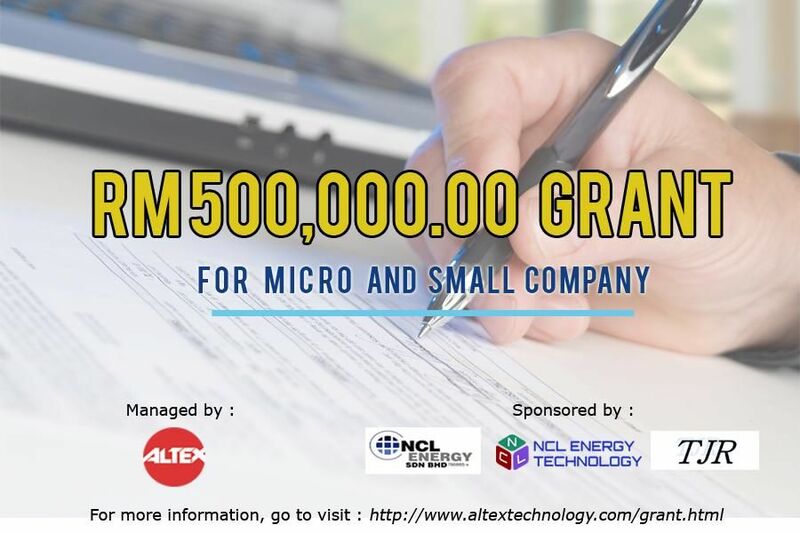 Altex Enterprise, through numerous discussions with NCL Energy Sdn Bhd, NCL Energy Technology Sdn Bhd and Tenaga Jaya Resource Sdn Bhd, shall initiate a special Grant to aid micro and small businesses to weather the current Malaysia economy, coupled with enforcement of Kastam Malaysia on GST which have adversely affected livelihood of most. The collaboration amongst Altex Enterprise , NCL Energy Sdn Bhd, NCL Energy Technology Sdn Bhd and Tenaga Jaya Resource Sdn Bhd, will see a total grant of RM500,000.00 to help startup businesses interested in our Kastam Approved GST Compliance Accounting Software. The main objective of this grant is to ease the burden of micro and small businesses by reducing business costs when acquiring an affordable Kastam Approved GST Compliance Accounting Software. This grant also aims to encourage micro and small businesses to automate GST accounting reports with an awesome, user friendly, authorised, GST compliant accounting system to support daily business activities-inadvertantly reducing manual labour. Only Malaysian registered micro and small businesses that are currently active is eligible to submit their application for this Grant. This Grant will be given by means of vouchers worth RM699.00 each which can be utilized to purchase the Accounting Software selected by the Grant provider. To apply, you will need to visit our website www.altextechnology.com and download the Grant Application Form, at no charge, in this website. Complete the form and submit via email to admin@altextechnology.com or fax to 03-9054 6590. Note: One voucher will be given for each successful business/company application.